Among the several reasons I share for hunting deer, I can honestly say “self defense” has never been one of them. After an unusual deer:human encounter last week in Preston, Idaho, I think protecting citizens from deer is a fine enough reason to hunt. AHT reader Jason Shell sent along the following story. According to LocalNews8 in Idaho Falls, jogger Sue Panter was attacked by a shady mule deer as she ran alongside a corn field. She knew right away that something was unusual about the animal as it walked parallel with her as she made her way down the roadway. Could you imagine the fear? Thankfully, for Panter, Michael Vaughan and his 17-year old daughter Alexis were able to play the roles of hero to make sure the buck didn’t kill Panter in the freak accident. And according the report, it was Alexis who should most be credited with going to combat against the muley. The story is well worth reading. Click here for the written and video stories. Perhaps a rut-crazed young buck? 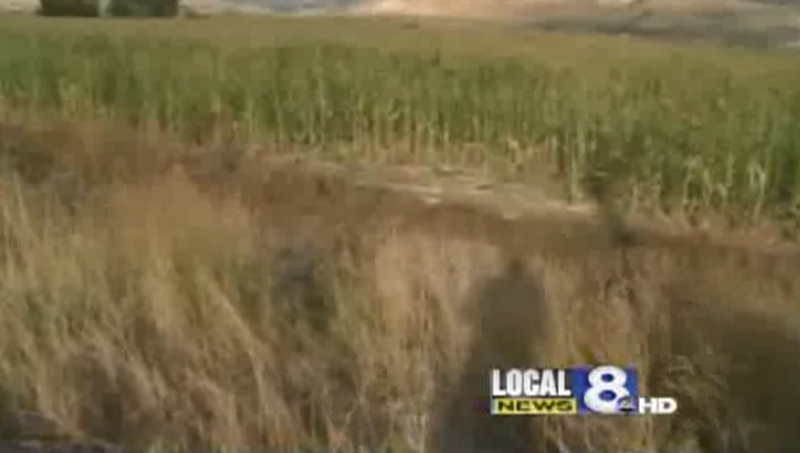 Idaho officials are in search of the deer to try and figure that out. This entry was posted on Sunday, October 9th, 2011 at 9:00 pm	and tagged with deer attacks human, Deer Hunting, Hunting, Idaho deer attack, mule deer attack and posted in 2011, General Tales. You can follow any responses to this entry through the RSS 2.0 feed. Crazy! It’s not exactly an epidemic, but a similar story just took place in Ithaca, NY. Man found a young buck had crashed through a window in his workshop and the man eventually killed the animal with a shovel.